Raising awareness of the harm that poaching causes is one of The Elephant Society's key objectives. Recent surveys found that those on the consumer end of the illegal ivory trade, in particular final consumers in China and Hong Kong, were not very knowledgeable about how their ivory was sourced. Less than a third of those surveyed in China knew that elephants were slaughtered for their tusks and 70% believed that an elephant's tusks would grow back naturally. Elephant tusk and rhino horn is still commonly used in traditional Chinese medicine despite being found to have no more medicinal properties than chewing on your fingernail. The only other "use" of ivory is to create ornaments or artwork. No other part of the elephant is used or harvested by the poachers, who usually leave the carcass behind as waste. Not possessing any tusks until the age of 6-12 months, often the young calf's that were accompanying the adult elephant that was slaughtered are tragically also left behind. The African Elephant will not reach full maturity until it is 10-15 years old, a calf doesn't stand a chance in the wild without maternal care. Without intervention, poachers can destroy two generations (and any subsequent ones) for a single pair of tusks. Although our ultimate goal would be to abolish poaching entirely; for now supporting our partner charities, such as David Sheldrick Wildlife Trust (DSWT) and their wardens, allow us to preserve this endangered species. These wardens and rangers act as both carers and protectors of both the orphaned calfs as well as the elephants that still roam wild. Risking their own lives to protect this magnificent animals, they are truly the "front-line" in the war against illegal ivory trade. 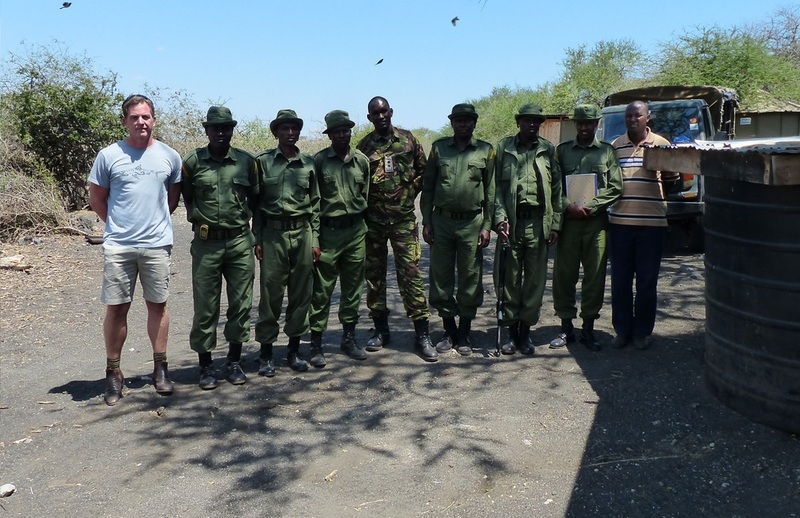 Another partner charity that we support, Big Life Foundation, recruit ranger units in conjunction with the Kenyan Wildlife Services. These rangers have many different tasks: around the clock protection for the animals from poachers, the arrest of poachers and confiscation of their veterinary tasks caring for sick or injured animals and dealing with animal-human conflict of elephants wandering into farmers property to name a few. A USD $250 contribution is able to pay wages for and fully equip one of these rangers for a month. Through the use of tracking equipment ranging from spotting planes, GPS systems and even traditional tracking dogs, these rangers keep track of the location and movement of their elephant herds. Some units priding themselves on knowing the movement of an individual elephant on a 24 hour schedule. Despite their vigilance, it is estimated that in Eastern Africa around 100 elephants are killed daily, with a total of 30000 in 2015, through acts of poaching or other human conflict. These Africa based units require our continued support in order to sustain and improve the levels of protection at the source... but what can be done at home? The second key goal of The Elephant Society is to reduce the demand for ivory at home in Hong Kong and China. 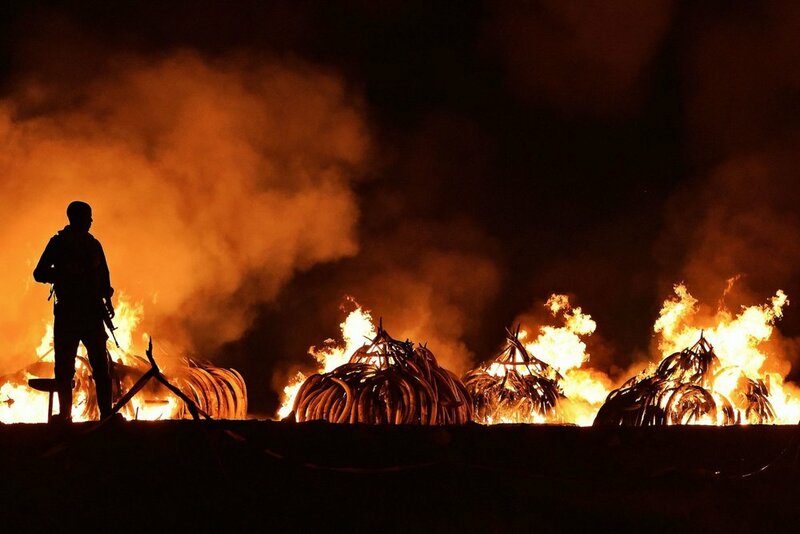 A government enforced regulation has allowed around 400 shops to continue selling "legal" ivory that was procured before 1989 until those stocks ran out. The report calculated that at the predicted sale rate, stocks should have run out by 2004. Though a recent survey found that 90% of ivory purchases in Hong Kong were made by mainland Chinese tourists, ivory stocks have remained relatively stable (by weight) up until 2014. It is thought that these shops have been replacing their "legal" ivory with illegal stocks bought on the black market. A WildAid inquiry into the ivory licence of 94 of these shops found that all but 1 had tampered with their licence, hiding or altering both the expiry dates as well as the maximum quantity of ivory they were allowed to stock. These shopkeepers are not malicious or wildlife haters -- the only reason that they go through the black market to increase their stock is because the demand for ivory products still exist. In an act of defiance, the Obama Administration destroyed the US reserve of elephant tusks destroying 5.4 tonnes of "blood-ivory", with an estimated market value of USD $11.34 million, to send a message to the world that they have absolutely no demand. The destruction of ivory is a common practice by conservationists and authorities in Eastern Africa, Hong Kong and the world around.